Everyone deserves to receive top-of-the-line care when it comes to dental services. Unfortunately, not all practices are equal when it comes to the types of services offered, the quality of care provided, or the attention to patient comfort. Because of this, it is important to conduct thorough research when seeking out a cosmetic dentist. 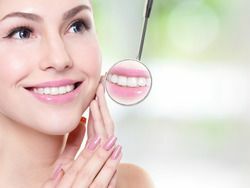 Whether you need restorative care for a decayed tooth or a cosmetic treatment such as porcelain veneers to revitalize the appearance of the smile, it is important to know you are under the care of a skilled and caring dentist. Dr. Steven Hochfelder is a cosmetic dentist in Lake Mary who meets all the criteria that patients should consider when choosing a dentist to meet the oral health needs of themselves and their family. Dental technology continues to advance and a good cosmetic dentist should continue to education and training in order to take advantage of these technologies. Dr. Hochfelder believes that patients should benefit from the superior comfort and precision provided by these technological advances. He offers some of the most advanced dental treatments available, particularly in the field of laser dentistry. Laser dentistry increases patient comfort and gives Dr. Hochfelder more precise results, whether testing for the presence of cavities or providing periodontal care. In addition to these amenities, the techniques used by Dr. Hochfelder are those that provide the most comfort for patients. When anxiety is severe, we even offer sedation dentistry, so that dental care can be provided without stress or discomfort for the patient. Dr. Steven Hochfelder believes everyone should receive five-star treatment at the dentist, which is why he and his staff focus on patient comfort and satisfaction. If you want to experience superior dental care, contact us at your earliest convenience to learn more about our services, and one of our friendly staff members will get back to you shortly.